You can’t schedule a toothache. When it happens, it happens. And it hurts. Sometimes, toothaches occur at a convenient time, when you can just call our Austin dental office and we can take care of you. Other times, toothaches can happen at night or on weekends when our Austin dental office isn’t open. Then what can you do to help relieve the pain? 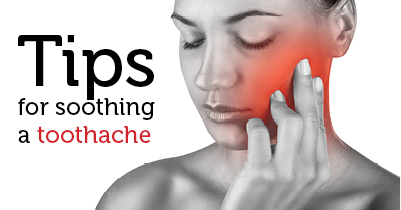 Anyone who has had a toothache knows that the pain can linger and make you not want to do anything until it goes away. And if you’re unfortunate enough to get a toothache late Friday night, you may need to wait until Monday to see the dentist. Fortunately, there are a few tips and tricks you can try to ease the pain. Salt Water: Swishing with warm salt water for as long as you can may help ease the pain of a toothache. Do not swallow the mixture. Repeat as needed. Onion: Some people have claimed that a piece of raw onion placed on the affected area has eased the pain. However, this will probably cause you to have onion breath. Oil of Cloves: Also known as Eugenol, Oil of Cloves has antimicrobial properties as well as pain relieving properties that can help lessen pain of a toothache. Mix 2-3 drops with either olive oil or cooking oil and place on a piece of cotton. Put the cotton on the bothersome area and bite down. A common and often-tried remedy for a toothache is Aspirin applied directly on the painful area. Don’t try this! Aspirin is an acid and can cause greater damage to your mouth. Simply swallow the Aspirin. While these tips and tricks can help ease the pain of a toothache, it’s still important to call our dental office in Austin as soon as possible. A toothache is a sign that something isn’t right, and it’s best to get it seen and taken care of. If you continue to simply treat the pain of a toothache, and don’t determine its underlying problem, something that could be small and easy to treat can turn into something much more dangerous. If you’re experiencing a toothache, don’t hesitate to call our Austin dental office. Tooth grinding, also known as bruxism, affects around 30 million children and adults. And most of the time, those individuals don’t even realize that they’re doing it! Sometimes it happens only at night. Other times, subconsciously throughout the day. While grinding or clenching your teeth may not seem like a big problem, it can actually cause damage to your smile and makes visiting our dental office in Austin even more important. While bruxism is often viewed as a habit, or a result of stress, it can be caused by other things as well. For example, your teeth grinding can be a result of having a bad bite, or when your teeth do not line up or come together properly. Bruxism can also break restorations, cause damage to teeth, and wear away enamel. 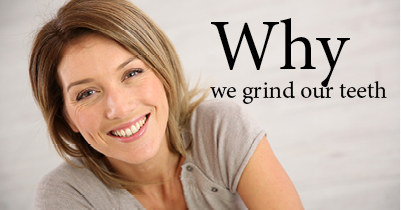 That’s why if you’re a grinder, it’s important to see your dentist in Austin. If you’re experiencing any of these symptoms, it’s important to schedule a visit to our Austin dental office as soon as you can. We will examine your mouth and check your bite. We may also take x-rays of your jaw and mouth to determine what the cause of your bruxism is. We will then make the best recommendation to fix the problem. Several treatment options are available and can include using onlays or crowns to reshape the bite surfaces of your teeth, and making a mouth guard that fits over your smile and prevents further damage. Don’t live with the pain of being a tooth grinder. Our dental office in Austin can help protect your smile and ease your pain. Give us a call today! Many people walk to the fridge, pull out a can, and pop open the tab of a quenching can of diet soda when they’re thirsty. It’s better for you because it’s diet and there is no sugar in it, right? 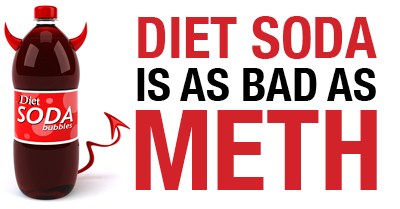 While you’re correct in the fact that there’s no sugar, it’s not necessarily better for you. At our dental office in Austin, we want everyone to be aware that diet soda can be detrimental to your teeth. In fact, excessive consumption of diet soda can cause damage to your smile similar to the damage caused methamphetamine or cocaine. All of them have high levels of acid, and acid can cause damage to tooth enamel. With the loss of tooth enamel, smiles are at greater risk for developing cavities, discoloration, sensitivity, and other damage like cracked or broken teeth. By keeping up on regular appointments with your Austin dentist, you’re able to better protect your smile from the damaging effects of dangerous acid. Even if you do maintain a healthy at-home hygiene routine and keep up with visits to our Austin dental office, you’re still at risk for an unhealthy smile if you drink a lot of soda or use illegal drugs. If you’re overdue for a dental checkup, or if you’re addicted to soda, already have damage caused by soda, or even damage caused by a past drug use, call our dental office in Austin. We’ll conduct an in-depth exam, get to know you, and work with you to get your smile healthy and looking great. Cancer Diagnosis? See Your Dentist in Austin. Cancer is a scary word and a diagnosis none of us want to hear. But if you or a loved one has been diagnosed with cancer, seeing your dentist in Austin before starting chemotherapy is a crucial step toward a successful treatment. While chemotherapy helps treat cancer, it also causes several side effects to the rest of your body, including your mouth. In fact, some of the oral health problems associated with chemotherapy can actually cause a delay or stop in treatment. Clearly, when you’re dealing with something as serious as cancer, it’s never ideal to stop treatment. This is why I recommend visiting our dental office in Austin at least one month prior to beginning chemotherapy. 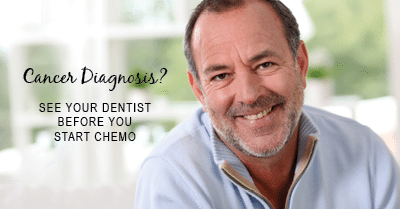 How Does Chemotherapy Affect Your Mouth? Since chemotherapy kills cancer cells, it’s often the treatment of choice. However, it can also cause harm to normal cells in the body and mouth. Side effects in the mouth can be serious and can include pain; difficulty talking, eating, and swallowing; dry mouth; or burning and swelling of the tongue. You’re also more likely to get an infection in your gums or in the moist lining of your mouth. When undergoing cancer treatment, any infection can be extremely dangerous. How Does Seeing a Dentist Help? Your dentist in Austin is an important part of your cancer treatment and can help keep dangerous side effects away. Often times, the oral side effects from cancer treatment occur in unhealthy mouths, and while not all side effects can be avoided, the healthier your mouth is the more likely the side effects can be avoided and treatment can continue as planned. Ideally, it’s best to schedule an appointment at our Austin dental office one month before cancer treatment begins. When you visit, our team will perform an in-depth exam, clean your teeth, and take care of any mouth problems we may find. We’ll also discuss the best way for you to care for your mouth at home to prevent side effects. If you or a loved one have been diagnosed with cancer please give our dental office in Austin a call as soon as you can. Our mission is to provide compassionate, quality care to allow for the most successful treatment possible.